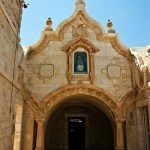 (Morning Star News) – An unidentified man in Bethlehem lunged at a Catholic priest with what appears to be a knife on Friday (June 1) in a rare attack on a clergyman in the Palestinian Territories. Advocacy group Middle East Concern reported on Tuesday (June 5) that it is believed that the object used on Shallufi was a key, not a knife. Palestinian police reportedly detained two men after receiving a complaint. The source told the Post that Palestinian authorities take such incidents seriously as they can harm tourism. About 80 to 85 percent of the West Bank population is Sunni Muslim. 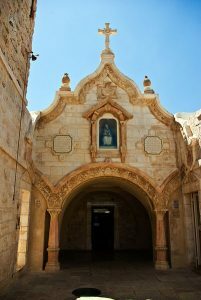 The chapel receives its name from a tradition claiming the Virgin Mary spilled a drop of breast milk at the site when the young family found refuge there before fleeing to Egypt. It is a pilgrimage site in the West Bank. The Post reported that Shallufi is from Nazareth and has been an outspoken proponent of Muslim-Christian coexistence in the area.